Keeping all the areas of your home clean can seem like a mammoth task, from cleaning windows to cutting the grass, but one area you shouldn’t ignore is your wheelie bin. These have become a common site in the area where I live and we have four wheelie bins plus a recyclable bag collection once a fortnight. Keeping the wheelie bins clean isn’t something I do on a weekly basis, and sometimes I have to admit that it isn’t always monthly either and that is because it is a challenge for me, they are nearly as big as me in height wise and I often wonder if anyone has been found stuck in a bin. I admit this is a fear but it comes with my fear of small spaces and the thought terrifies me! However, I still need to tackle the task, I need to clean a wheelie bin and face my fears! I have tried many different methods and one you should avoid if you don’t want to kill grass is putting boiling water in and tipping it up to drain. Surprisingly this kills the grass! Make sure the bin is empty, this is best attempted on bin day and then you don’t forget that you have added rubbish to the bin already. 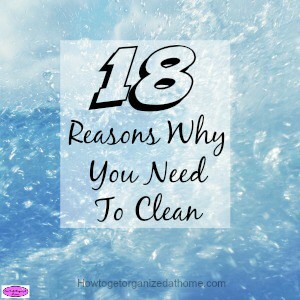 I like to mix up some water and some soap, washing up liquid is great for this because you want something that is going to take the dirt off and not just slosh some water around inside the bin. I tip the bin on its side and check for any rubbish items, I will try tipping these items out or use the brush to pull the debris from the bottom of the bin. I use the garden brush and I dip this into the soapy water and scrub, paying attention to some of the areas that have debris stuck. I then brush down the outside too, with the soapy water before rinsing the inside completely out and sitting it upside down to drain and dry before reusing, remember not to use boiling hot water! It is important to keep this clean as it can quickly smell and this isn’t pleasant for you or anybody. In addition, there is the possibility for a build-up of rubbish at the bottom of a bin, which can and will attract unwanted visitors. You can have maggots at the bottom of your bin and by just putting your rubbish on top; you are feeding, encouraging more and more of these to breed in the bottom of your bin. 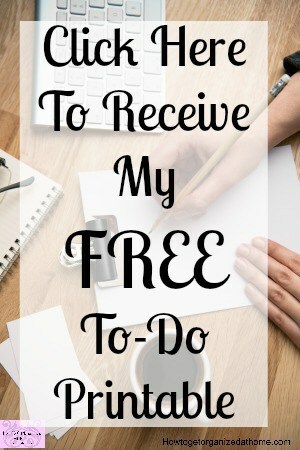 I know there are services that you can employ to come and clean your bin after emptying, but these cost money and for me, they are just not worth the added expense. It is not a difficult task to do or to keep your bin clean; it will reduce the amount of flies that you have near and in your bin. It will reduce the amount of vermin that tries to get access to your bin, there is no getting away from vermin or flies but by keeping these areas clean and free from stuck-on garbage, it will reduce the smell and odour that attracts these unwanted pests. Therefore, I think the cleaning of your wheelie bin is an important job in the reduction in the smell and odour, as well as food particles, which attract the pests that spread germs and diseases. 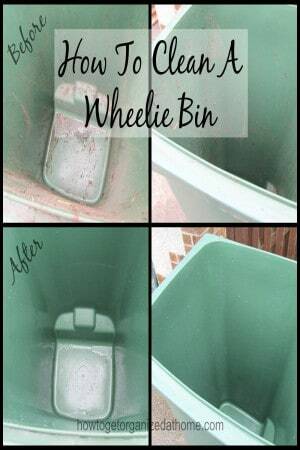 What are your best tips to clean a wheelie bin? Good point, Sharon. I’ve lived here 2 months, and haven’t cleaned mine yet. Yikes, I better get on that. Ah! I just thought about this today when i put something in the compost bin earlier and it is soooo disgusting and smelly.I hate cleaning it and always forget so now I have a really yuk job to do! Funny seeing this post about it today! This could not have come at a better time. I was just thinking how much wheelie bin needed to be cleaned.